Summer never seems to stick around for very long, so understandably everyone is trying to make the most of it -- at the same time. Crowds, lines, gridlocked parking lots, hotdog stands that have run out of everything but relish -- this does not have to be your summertime reality. That’s why we’ve rounded up some of LA’s best summertime venues and all the little-known deets and tips that’ll help you maximize your time sipping on a cold one instead of staring at the back of someone’s head. 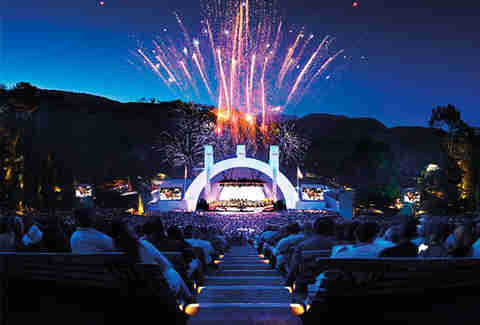 One of LA’s most iconic outdoor venues, the Hollywood Bowl is notable not only for its design and acoustics, but for its epic summer concerts -- and endless hackability. Sure, if you wanted, you could spend a few hundred on box seats close to the stage and order upscale eats from their stellar on-site culinary partners (including Suzanne Goin and Caroline Styne of Lucques and AOC). But why do that when you can save some money and bring your own food and drink -- yes, including booze! 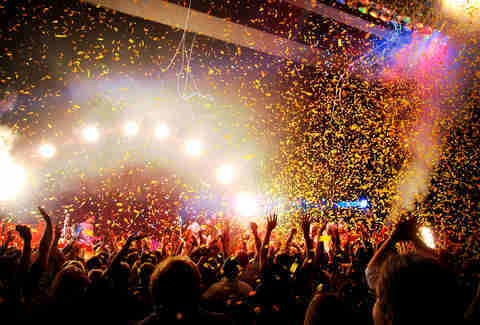 -- and sit in the bench seats, tickets for which (depending on the show) start at $1. With the right tush cushion and views of the big-screens flanking the stage, you can get intimate with your favorite band, even from far away. 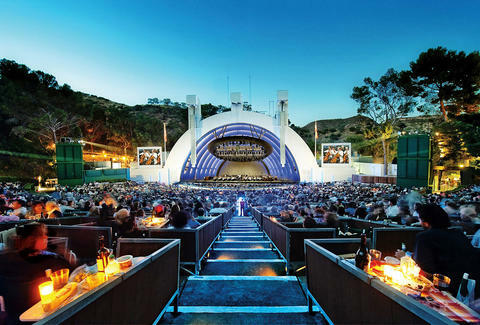 Nestled in the serene hills of Griffith Park, the Greek Theatre is another one of LA’s famed outdoor entertainment treasures with lush surroundings and killer acoustics that’s been home to concerts of all genres. The only real problem? Getting there. The single road to the venue’s entrance is a full mile up a hill from the main street, cutting through neighborhoods (where you can’t park) and the park itself (where parking is pricey). This is where you take advantage of the Dine and Ride program, which provides you with safe all-night parking, inclusive dinner at one of six Los Feliz restaurants, and hassle-free shuttle service to and from the front gate. 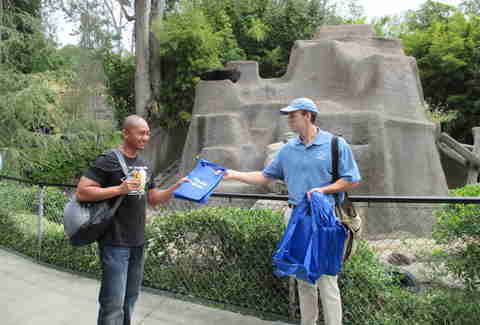 One hack you didn’t know about: So Cal Honda is doing Random Acts of Helpfulness at different LA venues all summer long. You could win free tickets to the LA Zoo, give your nephew the chance to step up to the pitcher's mound at Dodgers stadium, and more. Stay in the know by following them on Facebook at SoCalHondaDealers. 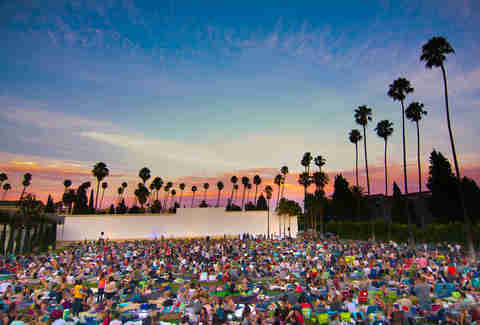 The final resting place of everyone from Rudolph Valentino to Dee Dee Ramone, this celebrity-laden cemetery also doubles as a bustling summer venue, with concerts in the Masonic Lodge on the grounds and film screenings projected against the outer mausoleum wall. The best advice for making the most of this place is to get there early. Parking is free along the cemetery roads for concerts and costs $15 if you buy them in advance for movie screenings, which we highly suggest doing because that way you can skip the massive line of people that inevitably snakes around the entrance and down the block for hours before door time. You have to bring your own food because nothing is sold on-site (now’s the time to show off your mad picnic skills) and don’t be in such a rush to leave -- you can avoid the chaotic mass exodus at the end of the night by taking advantage of the afterparty DJ or, you know, wandering the grounds and paying your respects to the famously deceased. 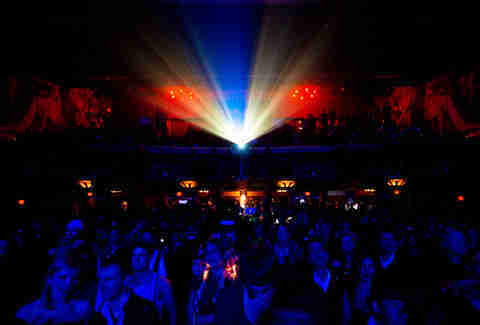 Underneath the Echo night club and music venue is its much bigger, newer sister, The Echoplex. Even though these two are connected, you can’t get to the Plex via its Sunset Boulevard address. The main entrance to this partially underground venue is down the hill and through an alley off Glendale Boulevard. Luckily, this is confusing for enough people to stagger foot traffic and make for shorter lines. Once inside, the stage is right in your face, but don’t just stand there -- head straight to the back where the views are free of pesky mid-room columns and the bar furthest from the stage (which gets the least amount of love) pours stiffer drinks with nicer service. 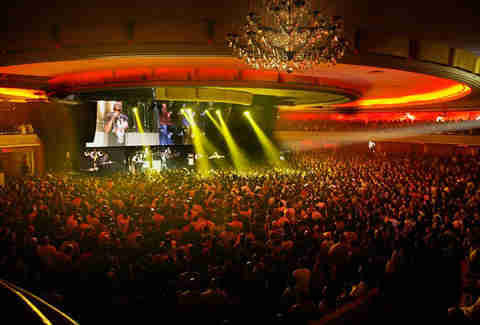 When the lines are long at the Palladium, they’re long. Want to know how to avoid them? You don’t. You just make peace with the reality that yes, this is what you’re in for. Just enter through the parking lot on Ivar, empty your pockets as asked, throw away your pens and gum (according to strict house rules) and let the nice people frisk you so you can get into this massive Art Deco concert hall with as little stress as possible. The on-boarding process is rewarded with a completely renovated space, where the dance floor is huge, the system is loud and the bathrooms are spacious and numerous (there’s hardly ever a line at any of the four). For food, wait until afterwards, when a squadron of bacon-wrapped hot dog vendors park their shopping-cart grills on Sunset Boulevard, catching drunk concertgoers as they spill out of the street-facing double doors after every show. Sorry not sorry, but the best place to watch a show at the Fonda in Hollywood is from its cozy rooftop bar, where you can have a conversation on comfy patio furniture under twinkling string lights and watch the band perform via a live feed projected against the wall. Of course, you can also enjoy the ornate decor and stellar acoustics inside the main hall itself, but sitting under the stars and relaxing with a well-made cocktail in your hand at a summer concert is such a simple luxury, it’ll be hard to convince yourself to head downstairs. That is, unless having Blue Palms Brewhouse -- one of the best craft beer bars in LA (also with delicious food) -- attached to the venue can tempt you. 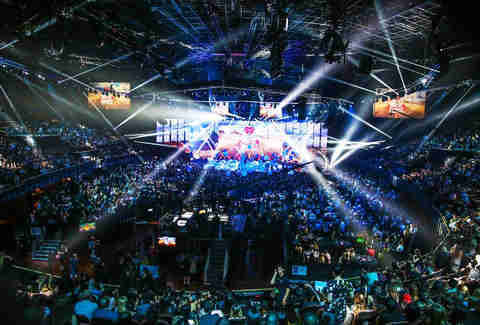 As the one-time home of the Lakers and the Kings, the “Fabulous Forum” is LA’s most iconic arena -- and it underwent a multi-million dollar renovation in 2014 that made it more fabulous than ever. Think: new paint, new seats, and a food lineup in the surrounding concourse that includes local favorites like Loteria Grill, Carney's, Orleans & York, Pink’s Hot Dogs and more. Make sure you park near the correct entrance for your seats, or you’ll be circling the perimeter on foot for a while. And if you get there early, not only will you avoid the inevitable lines to get in, but you can partake in the pre-show happy hour, which starts at 5pm on the terrace. 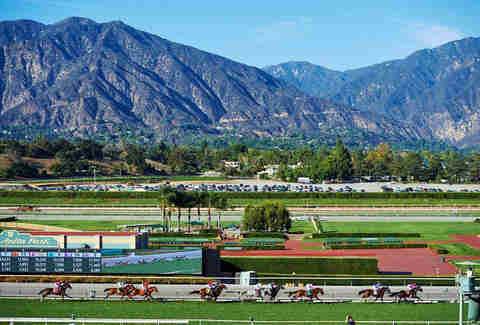 Watching the ponies just got a whole lot more fun at Santa Anita Park, thanks to a beefy programming initiative that has amped up race days with beer and food fests, carnivals, concerts, and car shows -- all of which take place in the center of the track, putting you in the middle of the action. Entry to most special events also includes clubhouse admission (shade! ), a racing program & tip sheet, plus seating in the grandstand section (no shade! ), allowing you to spend a full day at the races long after the trackside festivities end. Go bigger with online-only park deals that get you everything from buffet dining on the fifth-floor terrace to brunch in premium balcony seating to a proper table-service meal (filet mignon, anyone?) in your own private box. 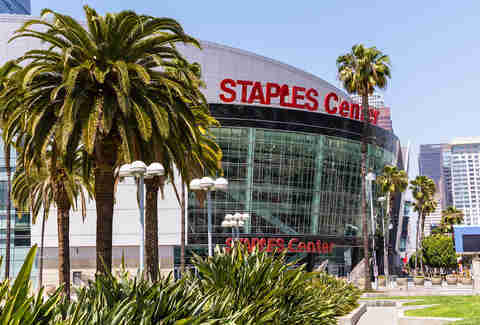 It’s easy to skip the long lines at the Staples Center, host of LA’s biggest sporting events and concerts: just don’t go through the main entrance. In fact, go to the entrance on the complete opposite end of the arena, the so-called 11th Street entrance on the northwest side, for the least amount of crowds. When you get hungry, make sure to peruse the main concourse, where the best food resides. Top-rated LA chefs like Ludo Lefebvre, Ray Garcia, and Josiah Citrin have quick-service concepts where you can get everything from a carne asada taco to a Frenchified fried chicken sandwich. You should probably also buy parking passes in advance to get the best spot for your car, though you could avoid the pre- and post-game parking jams altogether and take public transit instead -- there’s a station a block away. 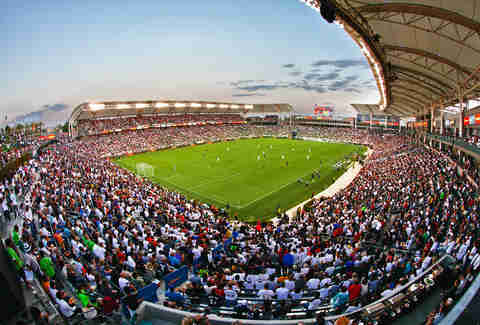 The StubHub Center is the most mellow of all the sports stadiums in LA, and it’s stocked with amenities that also make it one of the best places to catch a game or a show. You can usually find parking without a hefty walk and entrance through any of the numerous gates is a breeze. Once inside, the views are unhindered, the shade is plentiful, and the bathrooms are clean and numerous. Don’t want to miss a second of the action? It’s cool: TVs are everywhere to keep you watching even when you leave your seat. Need to charge your phone? There are free charging stations throughout the stadium where you can plug in. That you can also get a cup of Bulletproof Coffee and a bacon-wrapped hot dog from the concessionaires is just a bonus.